Peter Richardson, author of American Prophet: The Life & Work of Carety McWilliams, and CSA steering committee member, has a few blog posts some CSAers will want to catch up on. He is currently at work researching a book on Ramparts magazine. Here, Richardson writes about his interviews with Robert Sheer on Ramparts and Sheer’s new book. He plugged a new blog, the Fake Angelino. Here and Here he commented on the new Hunter S. Thompson documentary. at an organic farm in Wadell Creek. Finally, he reviewed a book about Eugene Debs for the LA Times. Thursday, October 16, 2008, 7:00 p.m.
Friday, October 17, 2008, 11:00 a.m.
Richard Allen, Professor and Chair of Cinema Studies at New York University. Professor Richard Allen is editor of The Hitchcock Annual and a collection of essays from the journal, The Hitchcock Annual Anthology, will be published this Fall by Wallflower Press. He is author, most recently, of Hitchcock’s Romantic Irony (Columbia University Press, 2007). Below I first pasted the Stanford Announcement. Below that is the Heyday book description and announcement. In addition to this event, there’s a slew of events in Fresno here. 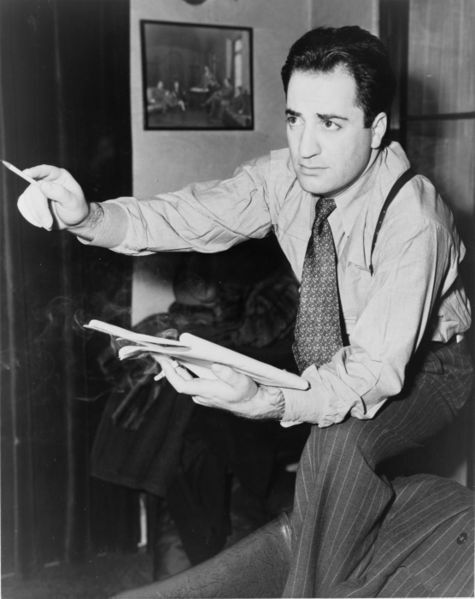 2008 marks the 100th anniversary of William Saroyan’s birth, and Stanford is celebrating. In an afternoon reception in Green Library, we will simultaneously celebrate the launch of Heyday Books’ compilation “He Flies Through the Air with the Greatest of Ease: A William Saroyan Reader”, and recognize the winners of the 2008 William Saroyan International Prize for Writing. Malcolm Margolin and Herbert Gold will speak at the event. Following the reception, an evening performance showcasing Saroyan’s musical talents and collaborations will be held in Kresge Auditorium. Gregory Wait, Senior Lecturer and Director of Vocal Studies at Stanford University, and Music Director of Schola Cantorum, will direct the program, which will feature a world premier of Girakgi Picnic, a piece by William Saroyan and Alan Hovhaness that was recently discovered in Stanford’s William Saroyan archive. Friday, September 5, 2008. 3:00 PM. Approximate duration of 3.5 hour(s). Published for the centennial celebration of the iconic author’s birth, this collection of William Saroyan’s writings overflows with exuberance, explodes with flashes of pure brilliance and literary daring, and brings to life an Armenian American voice unique and unforgettable. A careful selection of known and loved short stories along with plays, novels, letters, essays, and previously unpublished works, this volume allows readers to discover afresh the many aspects of a complex, engaging, and sophisticated writer. Remembering 7th Street is a project of UC Berkeley’s Journalism School and Architecture Department to re-create West Oakland in the 1940s and ’50s when it was a thriving community teeming with blues and jazz clubs. The virtual world video game takes you back in time to post-World-War-II West Oakland, when the area was bustling with shipyard workers and sailors, musicians and locals meeting up at the soda fountains and soul food restaurants, shops and other businesses that lined 7th Street. Come dusk, music poured from the nightclubs out into the street. You might catch a performance by one of the big names, Lowell Fulson, Saunders King, Sugar Pie DeSanto or Ivory Joe Hunter, who played in this West Coast mecca for the blues. Today, little trace remains of this rich history. The once thriving businesses are mostly empty storefronts now. The blues and jazz clubs have given way to a sprawling postal facility and an elevated BART train that runs through the heart of 7th Street. Now you can explore the neighborhood as it once was and help bring 7th Street back to life. Simply log into the game and adopt an avatar – a musician hungry for a break – and soak up the lost music and culture of West Oakland. For background on the Oakland jazz and blues scene see: California Soul: Music of African Americans in the West. For additional historical background on Oakland during the 20th century see Chris Rhomberg’s No There There: Race, Class and Political Community in Oakland. Saludos! Welcome to San Diego, California’s second largest city, where blue skies keep watch over 70 miles of beaches and a gentle Mediterranean climate greets visitors most each and every day. Bordered by Mexico, the Pacific Ocean, the Anza-Borrego Desert and the Laguna Mountains, San Diego offers the perfect setting for this year’s annual conference. The city is home to numerous ethnic communities, including members from the Kumeyaay/Diegueño, Luiseño, Cupeño, and Cahuilla native tribes, whose ancestors inhabited the San Diego region as far back as 7,500 B.C., and Latina/os, who currently make up more than a quarter of the overall population. Similarly, the Asian Pacific Thematic Historic District recalls San Diego’s early Chinese, Filipino, Hawaiian, and Japanese settlements, and Baja California is accessible just minutes from downtown. San Diego’s diversity also extends to its landscape, where visitors can explore rural mountain or desert trails, run with the tide or swim against it, scuba dive the depths of kelp forests or cycle pine forests. For the less adventurous but equally curious, the lush 1,200-acre Balboa Park is one of the nation’s most extensive cultural centers, with the greatest concentration of museums west of the Mississippi. Browse the spectacular array of fine art, science and natural history, aerospace, photography, model railroads, automobiles and performing arts. Plan a picnic near one of the Park’s many botanical gardens or arboretums. Tour the “world-famous” San Diego Zoo and Wild Animal Park or head over to the nearby SeaWorld and LEGOLAND theme attractions. Two unique sites not to be missed are the Casa del Rey Moro Museum and Chicano Park. Located in Old Town, the Casa del Rey Moro Museum houses a multimedia exhibit that highlights 6,000 years of African world history with a special focus on African-Spanish, African-Mexican and African-American heritage. Chicano Park is situated beneath the San Diego-Coronado Bridge in Logan Heights (Barrio Logan), a predominantly Mexican American and Mexican-immigrant community in central San Diego, California. The historical site is home to the world’s largest conglomeration of outdoor murals (67 in total), as well as various sculptures, earthworks, and an architectural piece dedicated to the cultural heritage of the community. In addition, downtown San Diego is an exciting urban center full of specialty shops, hotels, galleries and theaters. Dance to the rhythm of blues, jazz, reggae and rock at one of the many clubs, festivals and outdoor concerts. When it’s time to eat, you will find a delicious array of rich and savory choices. Food representing almost every world cuisine can be found somewhere in the city, including Mexican, Moroccan, Ethiopian, Thai, Vietnamese, Afghan, Persian, Chinese, Japanese, Spanish, French, British, Italian and Cuban cuisine. Not to be outdone by our surroundings, the NAES conference promises an equally exciting venue. As in the past, you can expect to hear national and international scholars discussing cutting edge work from a variety of academic perspectives. In addition, we will feature several panels and special sessions addressing local community issues facing San Diego residents. Finally, we will be presenting a number of awards to both young and established scholars as well as community leaders. San Diego represents a great opportunity to blend intellectual stimulation with relaxing fun. Please join us! Phantom Sightings: Art after the Chicano Movement is the largest exhibition of cutting-edge Chicano art ever presented at LACMA. Chicano art, traditionally described as work created by Americans of Mexican descent, was established as a politically and culturally inspired movement during the counterculture revolutions of the late 1960s and early 1970s. This exhibition explores the more experimental tendencies within the Chicano art movement—ones oriented less toward painting and declarative polemical assertion than toward conceptual art, performance, film, photo- and media-based art, and “stealthy” artistic interventions in urban spaces. The exhibition includes approximately 125 works in all media, including painting and sculpture as well as installation, conceptual, video, performance art, and intermedia works that incorporate film, digital, and sound art. Artists featured are photographer Christina Fernandez, who documents the poetic and “phantom” in the urban landscape; Mario Ybarra Jr., who creates performances, site-specific installations and intermedia works; the “intermedia synaesthesia” of the seminal conceptual art group Asco; and the New York-based artist Nicola López, who creates dramatic installations with drawings that extend from the wall into the gallery. The curators are Rita Gonzalez, American Art, LACMA, Howard Fox, Contemporary Art, LACMA, and Chon Noriega, Adjunct Curator of Latino and Chicano Art, LACMA, and Director of the UCLA Chicano Studies Research Center.This exhibition was organized by the Los Angeles County Museum of Art and was made possible in part by the Peter Norton Family Foundation, LACMA’s Art Museum Council, and Bank of America. Additional support was provided by the Contemporary Projects Endowment Fund. Contributors to the fund include Mr. and Mrs. Eric Lidow, Ronnie and Vidal Sassoon, Steve Martin, The Broad Art Foundation, Bob Crewe, Tony and Gail Ganz, Ansley I. Graham Trust, Peter Norton Family Foundation, Barry and Julie Smooke, and Sandra and Jacob Y. Terner. L.A. vs. Seattle: Whose Pacific Rim is it? Los Angeles and Seattle have very different histories, economies, leaders, ambitions, and demographic profiles. But both rely upon huge harbor, shipping, and transportation infrastructures as vital to metropolitan and regional growth; both claim intimate and expanding trade and other relationships with the Pacific Rim. Zócalo has gathered together a distinguished panel that includes, among others, UCLA political scientist Steve Erie, David Olson of the University of Washington, and Thomas O’Brien from the Center for International Trade and Transportation at Cal State Long Beach to discuss these two urban giants’ approach toward Asia. They’ll ask which city is better poised to take advantage of globalization in the Asian century.